The New correct map of the flat surface, stationary earth by John George Abizaid (1920). I think we can all agree these are maps. I think we can agree these are flat earth maps! PreGPS, auto drivers used a flat map. Just another Co-Incidence theory, i guess. I believe you may have missed or avoided the main point; every map is a flat map. Globes are clumsy devices to carry around, and don’t scale very well. Local geography in my city and state is easily navigated by a projection of the earth onto a flat surface, eliminating hills, depressions, curves, and whatever reality the landscape has. I would simply call these flat maps of earth. Of course with GPS today, I can pinpoint my current location quite precisely, as long as I have the signal. lol.. the earth is flat bcoz the map is flat. There’s not enough information in the world to convince a person the Earth is a flat plane until they are actually ready to see it…to overcome the horror of the force fed lie and break through the brainwashing program. It was a gut wrenching experience for me. I didn’t want to believe it at first. But when I took time to look inside myself, to question the science world, I could clearly see the deception. Lose your fear people. Open your eyes, your hearts and your minds. And you will need scientism just as much as you need organized religion. Back at ya AJ. I am fortunate enough to be IN Nature and grieve daily for the loss of flora and fauna I see dying everywhere due to our collective willful ignorance and general apathy. Somehow all the FE subjects though have allowed me to accept this lot in life and know their is a very, very long ongoing process here and we are the ones to make the change we must see to save ourselves from ourselves. do explain why i cannot see the sun all day long. do explain what happen if fly to the west, i’m into space or hit your wall of stupidity? If The earth is really flat, it’s map should be very different than any of these. Wow D, try to calm it. You say that the FE maps are a representation of a spherical planet. Would you consider that perhaps the Flat Earth maps were bastardised to fit the globe. As neither of us were around in those days it is hard to be categorically correct, is it. Let’s have a race. Santiago, Chile to Perth, Australia. You fly north and I fly south. You must fly a route that conforms to your flat earth model, i.e., you refuel in Los Angles. I fly a route that conforms to the globe model, i.e., I might refuel in Sydney. We both fly Boeing 777 or other long-haul aircraft. I am guessing you won’t win. I am willing to bet my flight will be half the length of yours. Yea, I was looking along the same lines. I live in seattle, Its 7 hours to Reykjavik, and seattle to new york is 6.5 hours and new york to Reykjavik is 5 hours. That would be a great idea but if you think, you can just fly around anywhere you want you’re an idiot. Why do you think they have flight controls and you have to submit an IFR flight plan before you can take off? I have to give kudos to whoever drew the 18th map from the top. At least they got one element correct in that the relative sizes and shapes of the continents are basically correct. But of course when you do that, then the distances and directions between the continents becomes even more distorted than on other flat earth maps. You basically have to rob Peter to pay Paul to get a flat earth map to work, and no one has come close to showing all of the relevant info in something close to an accurate representation. Looking at this map, they have what looks like the equator passing through Mexico, India and China!!! It is probably more like the Tropic of Cancer which does pass through those countries, but also crosses Africa much further North than shown on this map. The distance from the North Pole to the Tropic of Cancer is roughly 4,600 miles. Using that as the scale of miles, the distance from Sydney to Santiago would be roughly 16,000 miles and yet Quantas flies there nonstop in about 12 hours without crossing North America as required on this map. That works out to about 1300 miles per hour. Then Johannesburg to Sydney is around 13000 miles and again Quantas flies that route in a little over 11 hours nonstop, again without crossing over land. These calculations would result in even more extreme distances if the darker line of latitude on the map is meant to be the equator. Then it would be over 18,000 miles from Sydney to Santiago, and over 17,000 miles from Johannesburg to Sydney. You’ve got some splainin to do , Lucy! Maybe Quantas has some really fast airplanes!! maybe YOU”VE got some ‘splainin’ to do Lucy!!! That map is from the 1940s and there were no nonstop flights on the routes I mentioned above. Measure the distances on the map you linked to and you will quickly discover that it is as inaccurate as the others on this page. So they are admitting right up front that their map is based on a spherical earth and therefore is distorted as always happens when plotting a 3D object onto a 2D surface. It seems the link argues for my position that you cannot draw an accurate map of the flat surface of the flat earth….because the earth is not flat! Drawing a 2D map of a roughly 2D surface is relatively easy compared to mapping a globe onto a flat surface, and yet no one has come close to accomplishing this relatively simple task!! I see your points. I think all is psyops and I don’t think we have one accurate map of a Flat Earth, by design. The map was created from and London centrist POV, the HQ for Psyop deception since King Charles II….but shows a Flat Earth map. AS for the distances, I’m not sure what to make of them. That’s why we call it re-search. Again, read the description of the map from the map’s creators. It is not intended to show a flat earth, but is intended to show a spherical earth on flat piece of paper. Hence all of the distortions in the distances and shapes of the continents which appear on all flat maps of the earth, and which they have already admitted to on their map. They do not ever claim that their map shows that the actual earth is flat, and in fact they claim the opposite. If the earth was truly flat, it would be a relatively simple matter to plug in all of the distances between several major airports and paste in the continents according to their well established sizes and shapes. No “psyops” operation could prevent you from doing that right now with some graph paper and a ruler. The only reason there is no even remotely accurate map of the supposed flat earth is that the earth is actually a ball shape. Meanwhile, all of the continents shapes and sizes, directions between continents, distances between all major airports, and the accurate longitude and latitude used for all kinds of navigation all work perfectly as mapped onto a globe. One model works perfectly. The other model is much simpler to create, and yet no one has ever come close to representing it accurately. There is a simple explanation: the round earth model is correct because the earth itself is round. There are over 100,000 commercial airline flights every day, so over 3.5 million a year. The data for most of them is on the flightaware website. What prevents you from doing some re-search for yourself and discovering that all of the maps you have presented are incredibly inaccurate? Again, ALL maps are inaccurate. I’m not sure your point here. Why would you use flat maps, if on a ball? Why would the world cartographers declare the Mercator projection was “grossly inaccurate”, if we lived on a ball earth? Fact is, they use a Flat Earth projection for flights, not a round spinning sphere, as would be if we were truly on a globe. I think your whipping a dead horse here. There are no direct flights from the Eastern US to Africa…because Its FLAT. Sometimes you have to just take basic facts and not go by published flight times and fake GPS readings, or get on a plane and measure for yourself. It’s not a globe, its a plane. Sea (SEE) Level. Plate TEctonics. Aero-plane…Sunrise, Sunset…GETIT? Why do pilots never adjust for curvature then? Why don’t we get to destinations faster flying East to West and never get to a destination, like SF to NYC flying at 500 mph when your alleged “round spinning ball” is supposedly rotating at an incredibly 1,000 mph below the plane? Why does it take 15 hours to go across the Atlantic? I’ll humor your response one more time and i’m done here. time to move on Nirmala..you’ve shown your hand. All maps are inaccurate except one: a globe. Flat maps are simply easier to handle and refer to, but navigators have made adjustments to accommodate the distortions on flat maps for centuries. And Mercator maps are inaccurate because they are a flat representation of a round object. The distortion is proof that the earth is NOT flat! Again the flight paths and distances calculated on a globe match the flight paths and distances caluclated on the site above and as shown on the flightaware website. Do you honestly believe that all of the airlines are in on some grand conspiracy and so misrepresent their flight times to fool us all? Wouldn’t their customers complain vociferously if the actual flight times were radically different than what their own websites show? The atmosphere is rotating with the earth, so while there is a slight coriolis effect that does affect airplanes, it is slight. This is why two people sitting on opposite sides of the aisle on a jet can toss a ball back and forth without it ending up at the back of the plane. The air in the cabin is moving with them at 500 mph. Fortunately the airplanes can adjust in flight, and no you would not feel it on the flight as both the coriolis effect and the curvature of the earth are so slight over shorter distances that the correction would not be noticeable. “This is why two people sitting on opposite sides of the aisle on a jet can toss a ball back and forth without it ending up at the back of the plane. The air in the cabin is moving with them at 500 mph”. “coriolis effect and the curvature of the earth are so slight over shorter distances that the correction would not be noticeable. What does the Coriolis effect prove on a spinning ball going one way at 1,000 mph? Which way does water spin at the Equator? Static? Can you do simple spherical geometry of miles x miles x 8 inches to measure the curve! At the ocean you should see 66 ft. of curve, but don’t see a crest or fall off, no matter how high you travel in the air as well. On a 500mph flight, according to spherical geometry, you would have to dip the nose one-half mile per minute traveled, yet the aero PLANE remains level for hours! Measure the distance from New York to Johannesburg on a globe and you will see it is much more than a few thousand miles, in fact it is 7,969 miles. However, the distance from NYC to London is 3470 miles and you can fly there in 6 hours….across the same pond. In case you did not notice, Africa is a lot further south than London and so the distance is further. And of course London is further North than NYC. Thanks for the dialogue. I do appreciate exploring this with you. OK, one last point: level on a spherical earth has to do with the distance from the center of the earth. It has nothing to do with a straight line extending off into space. So a plane would remain perfectly level if it stayed at the same altitude during its flight as it’s distance from the center of the earth would remain the same. No dipping required. Center of the Earth, seriously? WE’ve only drilled down 8 miles into EArth, how the heck can you know the center of the EArth, or what it is made of? So a plane goes around a ball and doesn’t fly off to space because its measured from a center we have never been to or can measure? This makes zero sense at all. Yes, the bipolar model solves one problem with most flat earth maps, which is that they show Antarctica as the mythical ice ring surrounding the earth and holding in the oceans. Instead the Bipolar map shows Anarctica as a continent. But while the distances are different than the unipolar maps you have shared, they are still inaccurate. And of course the map does not explain either why the water does not flow off the edge of the flat earth, or what is holding it in place. Or if the earth is an infinite flat plane, then why throughout human history has no one ever traveled beyond the edge of that map? The path of the sun is much more complicated to lay out on the bipolar map and also, it is not just a “path of the sun” problem with the bipolar map. There are times of day when both eastern Asia and the United States are in daylight, and Europe and Africa are in their nighttime. How do I know? I speak with clients all over the world and so am very familiar with time zones and when I can and cannot reach a client from here in the US. For example, right now in March, when it is 3:00 pm in NYC, then it is 4:00 pm in Buenos Aires, 6:00 am in Sydney, 7:00 am on the Kamachatka peninsula in Eastern Siberia, 8:00 am in Auckland, 9:00 pm in Madrid and Cape Town, 10:00 pm in Moscow, 3:00 am in Beijing, and 12:30 am in New Delhi. In order for that to work on the bipolar map, the darkness of the night would be located in the middle of the map slicing diagonally across Africa and Europe and much of Asia (but not all of Asia), while the left and right sides including North and South America, Hawaii, Australia, New Zealand, and far eastern Russia would be in daylight. Japan and China would be in darkness while Australia and Eastern Siberia would be in daylight. That would be quite a trick with just one Sun. Really, how do Australia and Eastern Siberia manage to be in daylight when China and Japan are between them on the map and yet would be in darkness? Maybe there are two suns…and the reason we can’t ever see both at the same time….is…..because…..? Actually, the more I look at the map, I see that the area of daylight forms a very large circle that encloses the area of darkness on the map….how the heck would that work? At least the unipolar map does not have this problem of a circle of sunlight enclosing an area of darkness. PS: It is also daylight on Wake Island, east of Japan. It clearly completes the circle of daylight surrounding the areas of darkness on the bipolar map. Bottom line: no flat earth map comes close to accurately representing the surface of the earth. Every globe does accurately represent the surface of the earth. To: Nirmala and the others who buy the party line: Several errors you have each made here; too numerous to outline. Nirmala’s quote is an eye-roller: “these maps are so ridiculously distorted that they basically prove that the earth is not flat.” Umm, No: What is “Distorted” does Not “prove” anything, especially “ridiculously so.” Did you check your logic at the door? Retrieve it; perhaps it’s still there. You’re going to need it back. As to flight times and distance discrepancies per MAPS(! ), both “teams” have their videos “showing” the other view is wrong. Each argument must be examined to determine veracity, if there are no fallacies; which, sadly, there are. 1) On even a semi-clear day, one can stand at North Lake Tahoe’s shore and see South Lake Tahoe’s shore and buildings, 40-ish miles away. With a curvature of ~50ft drop every 10 miles, this would not be possible within one’s Field of Vision. South-Shore should be 200 ft below your Field of Vision. Thus, the lake’s water is FLAT. Water doesn’t curve. Go there: Look at it. Use binoculars. 3) From the upper Cascades, on a clear day of climbing, you can see the Rockies, ~1350 miles to the SE: This would be a drop from Field of Vision due to curvature of 6,750 ft. But the Field of Vision doesn’t drop. Thus, it’s FLAT from the Cascades to the Rockies. Thus, not only the water, but the Land is FLAT. Look at it. Use binoculars if you don’t have 20/20 vision and a pristine, clear day. Question: When the NASA-NAZIs tell you one thing, and you observe another, What do you believe? And Why do you believe it? Remember folks, with a FLAT Disc Earth, the ~8000 mile diameter equator of a sphere becomes an (~8000 X PI) = >25,000 mile Diameter CIRCLE-DISC, so there are a LOT of square miles to account for; this place we live upon is HUGE! [>25K miles across is an area of (PI*R*R) = Half a Billion Square Miles: Gasp!] We simply CANNOT see it all. Observation of its totality fails. So why the pride & arrogance as if you can, or as if you’ve “made every calculation” yourself, which you DIDN’T…? You merely accepted the revealed propositions of an “authority:” That is Argumentum Vericundium, a logical fallacy. “Believing revealed propositions is the philosophical method everyone actually uses.” crl. Well, some of us have a differing authority. The Earth is a CIRCLE, and it does NOT MOVE: the world is STABLE. If the Earth moved so much, in so many different directions, does the Almighty mock us, when He bids us: “Be STILL, and know that I am God…” ? Psalm 46:10. Quantas flight #27 makes the trip several times a week in a little over 12 hours. Not possible on any of the maps you reference. Where is the documentation of your claims? Thank you for the response, Nirmala. I do appreciate the dialogue and interchange. Good to have another mind to interact with, from a differing point-of-view that challenges our own worldview, eh? -Worldview- literally intended here, of course. If you have not availed yourself of “Only a Paper Moon,” an older video wherein the data is provided by NASA itself, you owe yourself the treat. Yet I hesitate to add more links, as I had hoped this would not become a matter of “Who can cite more You-Tube videos,” as I implied in my first post on times & distances. This is *Why* I gave real-world observations. Even still, as I wrote in a college paper way-back when, “Observations don’t come with explanatory tags: they must be interpreted. This requires a mind, or spirit. And every mind is presuppositionally-biased when it performs any hermeneutical function.” If we use fancy computer-enhanced charts, the input and the words of interpretation along the way are purely human, as are the conclusions. The computer adds no philosophy of import. Turning Torso, the 1st image on the Flikr Photostream I was taken to in your 3rd link, led to a composite of overlaid photographic shots to simulate the desired view, not prove any point on curvature. The parameters I needed to determine anything about what was being said were missing. The columnar structure seemed contrived in this way. That is, the photo had subset photo-overlays upon each columnar shot, blocking the view of what was actually photographed. This is Why I mentioned in my first post that NASA’s latest actual photograph — a light-exposed and recorded, chemically-developed paper that can be physically examined for any alterations after the exposure — was 1972: all later NASA images are “photo-shopped composite images,” as the engineers say “they must be to provide the clarity the public demands.” Photographically Real Shots are “too grainy,” in other words. As well as incomplete, for not one of them captures the whole, as also indicated on my first post. Perhaps I misinterpreted the chart altogether that you provided (returning to the Turning Torso topic); humbly, I admit I could have. Yet the provided parameters were bleak. The exceptions: There were two photos, one taken at 320 feet with a red-line drawn across the photo, and one at an un-noted height at a beach (with vehicles parked nearby, for reference), with a red-line drawn across it. Yet, this is suspicious in itself, for each, for no one can see, actually “see” curvature at a mere 320 feet. If they do, the eyes should be checked. The line overlaid may very well be inaccurate; we’ve all seen optical illusions fool our eyes before. And who can draw a straight line? No, really. Contrast that with this: https://s-media-cache-ak0.pinimg.com/236x/ea/56/9d/ea569d98c733ade1d90e5a2c780fc1d2.jpg = A 720 mile horizon from 343,200~ feet up, and NO curvature. No wonder we call it a HORIZON, from Horizontal, a STRAIGHT FLAT LINE, not a “Curvizon,” eh? Modus Tollens. aka, Hypothetical Destructive Syllogism. To argue in the opposing fashion, which several of the charts on that link you provided tacitly did, assumes the very point at issue. That begs the question. The “red-line” shots assume that no other factor could produce the visual effect. This is Asserting the Consequent, another fallacy. Finding the right premises is always the tricky part, to be sure. (I noted that the Biblical documents were left untouched; yet these are premises, too, are they not?) Yet one thing is always true and dependable: If you premise your “intended” conclusion, then no argumented reasoning outside the circular (or is that spherical? ), no learning, no advancement takes place. Don’t let this modern Irony evade you; a Flat-Earther is telling you that through your arguments, “no advancement takes place.” From your perspective, That has got to be the most humorous thing you’ve read all day, no? I will just share a few points, and thank you also for this discussion. I always appreciate the sharing of views different from my own. Other flight times and distances also do not compute as calculated by another person from a Christian ministry that explored this: http://creation.com/a-direct-test-of-the-flat-earth-model-flight-times He also encountered many replies to his post suggesting that the flights he refers to do not actually happen, but he replies that he himself and several other people in his ministry fly them on a regular basis. See the comments for this discussion about whether the flights really are flown. And why does more of the distant platform appear to be below the water during the entire video? The more distant platform should appear smaller due to distance as it does, but there is more of the underpinnings that are hidden. That should not occur on a flat earth. The Flickr photo was a composite taken from the video in the second link for easier reference. If you want to see what was filmed without the overlays watch the video. And here is another thread that opens with another impossibility of the flat earth map: the Southern Cross constellation appears south of both Australia and Brazil at the same moment, when that is two almost completely opposite directions on the flat earth map. Are there two different Southern Cross constellations? Good Job, and thank you. Einstein had many problems with his own mathematical equations regarding Earth, Time and Space. Tesla thrived on experimentation, not mathematics. Full informative article which you have described Ultimate Flat Earth Map Collection.I gotten your Flat Earth Map Collection so I keep in future. This is ultimately a war between 2 religions. If the world is flat, then the Bible is true and there is a God, with moral laws, to whom we are all accountable. If the world is round, then Humanism is true and there is no God. Man is the author of his own morality. The former lives by the moral laws of God. The latter lives by their own moral laws. But bible got many errors and some books contradict with each other. How many gods do we have? There is only one Bible. The Authorized version. Compiled from manuscripts handed down through the ages back to the Apostles of Christ. Preserved, without doctrinal error, just as God promised. The hundreds of so-called “New” versions, compiled from Roman Catholic manuscripts, are imposters. Created by heretics at the behest of the Roman Emporer Constantine and rejected by Christendom over the ages. But if that is what you want to use as an excuse for rejecting the Creator and His moral law, so be it. The list of excuses are endless. My favorite is “there is no God, everything came from nothing”. So it is to this nothing that they are accountable for their actions. Which is exactly what men who reject the will and Word of God want. There is only one reason for man to reject God, It’s because he loves his sin and wants to remain in it. So he rejects the existence of God and puts himself in God’s place. Rejecting God’s moral law for the moral law of his own desires. The moral law of convenience. To be morally lawless. If your conscience, the one your Creator gave you, compels you to make excuses for your rebellion to your Creator and His absolute moral laws, so be it. But I have better things to do than play that game with you. And that would be the bible written by man. It is impossible to escape the conclusion that the entire bible is a product of humans. There may be claims that is is the word of god or inspired by god, But the nature of these claims is that they too also come from a human. That is, unless there is an explanation where the bible exists, where man is never a factor. Hmmm? The Bible was written by men. Without any super natural influence. There is no God. The natural world brought itself into existence from nothing. It is to this nothing that mankind is accountable for his actions. Man is the author of his own morality. He can do what ever he wants with impunity. As long as he has good lawyers. Obviously, from the title it isn’t difficult to see that I am coming from a Biblical perspective. I only came to the conclusion that the earth is flat (or rather not a globe) back in December 2016. I found some of the comments above useful, because I have been asked about flight-paths and irreconcilable flat earth distances if the earth were truly flat. I believe that the maps we have at our disposal don’t give us the true picture. If only NASA could be relied upon to tell us the truth! the reason i started to believe the earth was flat is it made more sense than the globe idea.we will never be able to prove the flat earth (we could but are not allowed access to antartica) nor will we be able to prove the globe earth.and this is my point,the globe earth is questionable and it shouldn’t be.with all the satellites and all the times we have supposedly gone to space we do not have one true picture of earth.they are definatley hiding something. My only question to all the people that are NON flat earth believers. Have you ever seen the world with your own eyes to say how big every continent is and where they are on earth, how far are they apart what shape they are? If you can say yes you have personally lived to see it with your own eyes and not just a picture someone else took I will say you are right. I personally believe the erth is flat, nature proves it to me. If you want to live on a spinning globe be my guest but the stars never move at any time of the year yet the earth is always turning and spinning around the sun. If you want to know where north is, just look for the northern star. Any time of the year it will always be north. Tralay520 – I take it you have personally measured the distance and personally measured the speeds which is fantastic and just a quick one to add to it is that no matter how much evidence we provide round earthers with you still have the shallow perspective because someone told you something. Look at all the real videos taken by flat earth believers and compare it to the 1 actual picture of earth. What you believe now in 100 years will be something else. The distance between the above two cities is reckoned to be 7063 miles, I believe this to be correct (most airplane route websites agree with this), so on a globe this distance would probably be nearer half that figure! Some question this with: “If that be the case, how come planes don’t see/fly over the west coast of North America en-route?”, but just as the globe model certainly doesn’t give the true representation of our earth, the maps shown above are most likely way off as well! Also, is it even possible to get high enough up there and survey the whole earthly scene in one go? Even if we could, we couldn’t take the whole picture in! 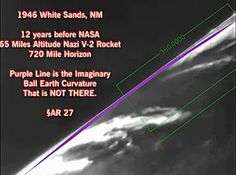 What about the man years ago went up high and said, “it looked like a circle and had rounded up edges.” I believe Nasa could get a good picture, but won’t. Well, I am considered an intelligent person by those who know me but this subject, which is fascinating me tremendously, is also causing me to feel really dizzy. Is anyone willing to explain flat earth to me as if speaking to a child? I really want to know. Angry people have me on the immediate alert and suspicious they are in the wrong. I am not aware of any ‘flat earthers’ who get angry? CB, I certainly agree, some do get “very hot under the collar” on this! I believe the reason that ” ‘flat earthers ‘ ” don’t “get angry” over this is because they were once previously deceived themselves. I only became convicted that our Earth is NOT a spinning globe last year, and it really is a shocker when you realise we have been “sold a pup” so to speak. You really do begin to wonder WHO you can trust! Whatever will we learn next? I was so taken aback about the whole thing, that I had to research further. Effectively NASA are saying “science FICTION beguiled you as a kid, now you can continue on this deceptive path as an adult just by going to work for us”! This same NASA JPL laboratory was responsible for all the artwork and photo-shopped images from their 20 year Cassini-Huygens ‘mission’ which has just recently ended. We are asked to believe that this Cassini satellite covered some 3 billion miles without so much of a hiccup! Is there such a thing as a piece of man-made machinery that can exist for 20 years with no maintenance or fuel? It was only about 22′ x 13′ in size! If only our earth-bound cars were so wonderful?! Anyhow, I cover these and many other associated topics in my e-book “Antarctica Does It End?” If you are interested, it can be read for free, if not, it is on Amazon at their minimum price schedule. Globalists get angry because flat Earthers blaspheme their religion. Angry? – that is often an FE tactic, when their baseless claims are countered with actual evidence. The claim above about the Sydney to Santiago distance is an example; an empty claim with no substance provided. Air routes between these cities match globe distances, while FE distances (as well as continent shapes) are severely elongated in the southern latitudes. If you were to read my postings on this site you would know that I only came to believe in the “Flat Earth” less than a year ago. Until then I would have considered any person believing in a flat earth to be a “sandwich short of a picnic”! But, why should the burden of proof rest on flat earthers? NASA have made an absolute pigs ear so to speak of everything in this department. Their ‘evidence’ is anything but! Photo-shopped images and artwork is all we get from them. As said in one of my postings above, I don’t dispute the time it takes for airplanes to travel from Sydney to Santiago. The Earth can’t be flat and a globe, it must one or the other? Another thing, (and this does anger many) the flat earth belief confirms what the Bible says, for you will search its sacred pages in vain for just one verse that speaks of the Earth moving, yet some seventy verses that speak of the sun and moon rising and falling. It has often been claimed that “modern science has proved the Bible wrong”, that is the oft repeated mantra. Perhaps you would be so kind as to provide ‘evidence’ to the contrary? I realise that being a Bible believer may not give me credibility among some, for many think it to be a book of myths! Yet this is our Creator speaking. Before branching into topics outside your “distance” post and my direct reply; might we address your claim about shorter GE distances. As I noted, air flight distances match up with globe distances. As I clicked upon your website while searching for FE maps cause I may be on to something it would only load 3 out of all the maps on your site for me. Just curious if anyone else has this problem or if there’s something wrong with your site.